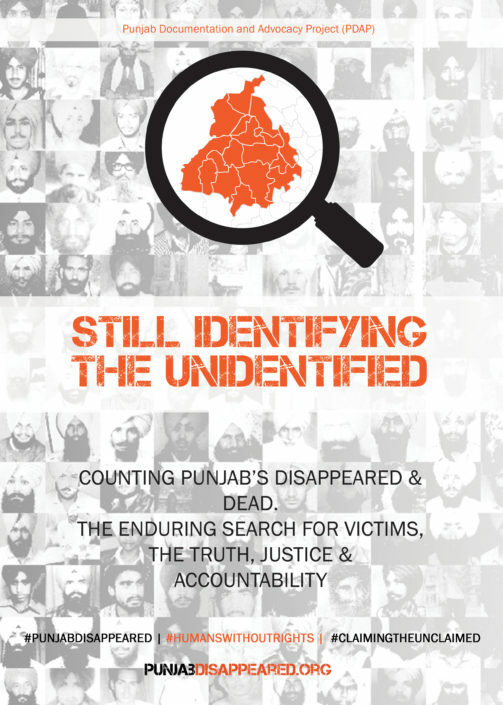 Punjab’s disappeared and the struggle to find its missing victims. Our exclusive 70-minute documentary follows the story of thousands of victims of enforced disappearances and extrajudicial killings, whose dead bodies were secretly cremated in a decade of armed conflict. 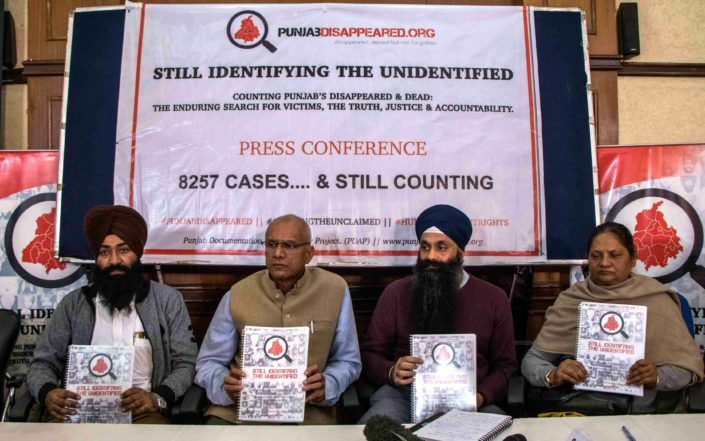 The victims’ ongoing fight for justice highlights the work of a murdered human rights activist Jaswant Singh Khalra and a 10-year investigation that has uncovered new evidence of thousands of previously unknown secret cremations from which victims have been identified. 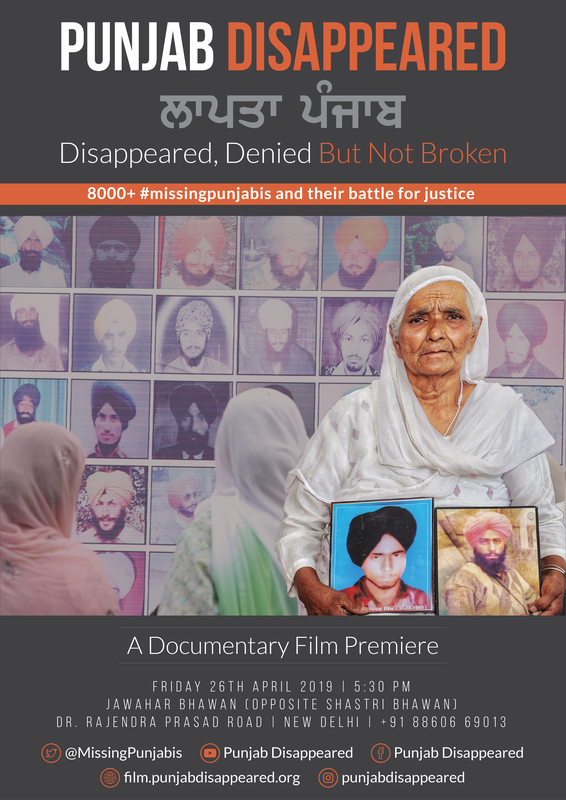 The documentary highlights the determination and resilience of the victims in their two-decade long struggle before the India courts for the truth, justice and accountability. There will be a Question and Answer session with the documentary film-makers after the showing. The Punjab Documentation and Advocacy Project (PDAP) started in 2008. What started as a formalised attempt to pool the collective experience, knowledge and data of the Punjab conflict has steadily evolved into a systematic, comprehensive and evaluative system of documentation of the human rights abuses in Punjab in the 1980’s and 1990’s. 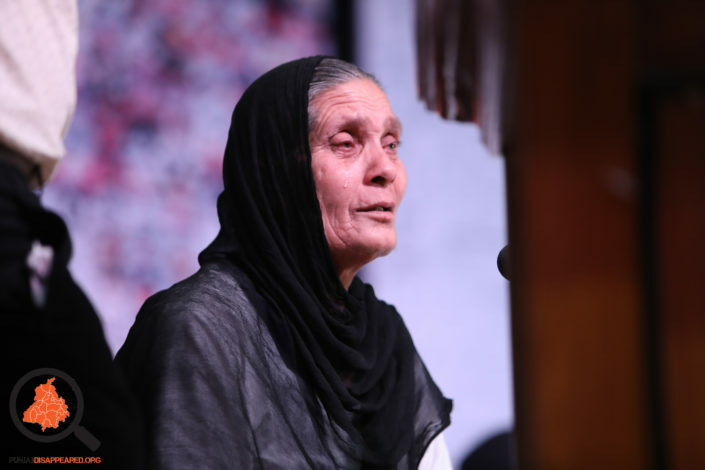 The original aims were to document cases of those extra-judicially executed, ‘disappeared’ and arbitrarily detained in Punjab, India between 1978-1996, as comprehensively as possible.